The Georgia Department of Transportation's metro Atlanta district tweeted a photo of the runaway cow standing in some woods Monday morning. Department spokeswoman Natalie Dale says it was safely captured by the afternoon. 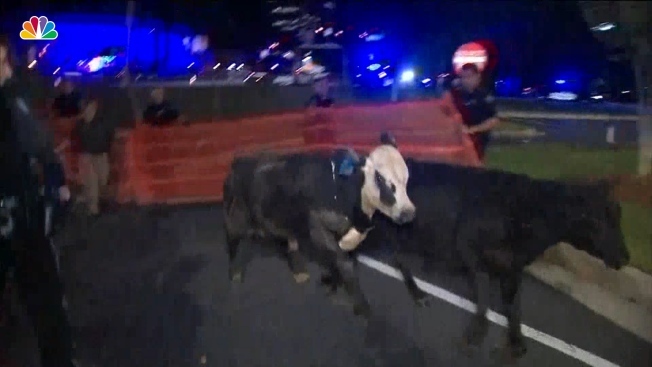 "We're wrangling some cows, that's what we're doing," Sandy Springs Police Sgt. Sam Worsham said at the time.